We don’t have fire flies over where I grew up, or lightning bugs as the are also called. I’m really not sure why they are not overseas, but they remind me of the summers I spent at Lake George, catching them in big glass jars with my cousins, and admiring their glow. In retrospect, we probably deprived them of oxygen and lead to premature death. But, we did let them go after a couple of hours of manipulating the glass container and inspecting the gowing aspects of the fly. That was back when my grandparents owned a house in Lake George. And, that was 13 years ago. Since then, I have not seen any fireflies, except for when I lived down in Alexandraia VA. I remember coming back from work and felt giddy as a school girl after seeing fireflies on my walk back from Braddock Metro to my apartment. It brought so many memories of my childhood back, the innocense of youth.Even now, when I see them, the young child in me becomes excited and giddy to seem them; summer is here! I’m not sure that you know, but, there are different reasons for why lightning bugs “glow,”–mostly the glow is used as a means of communication. 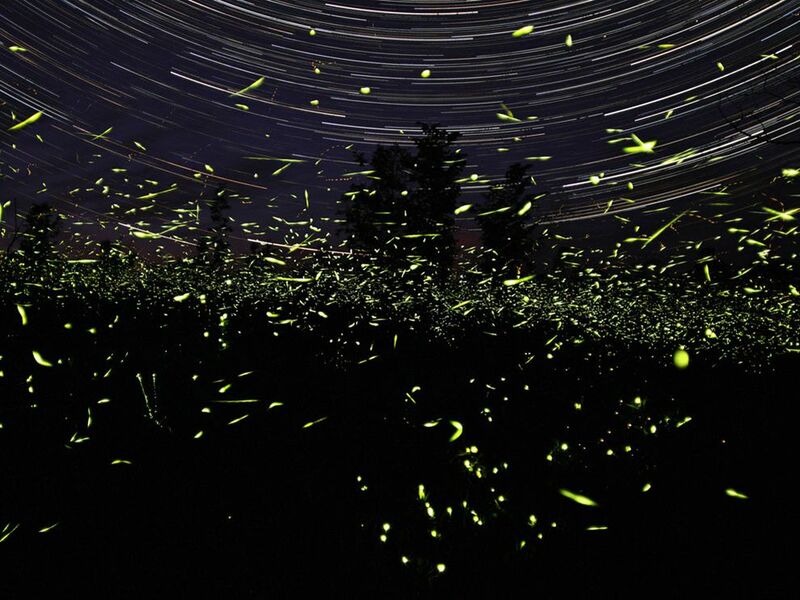 Some types of fireflies, the male only lights up to attract the female lightning bug, and so the female can find the man (according to Firefly.org ). There are also fireflies that eat each other! They are primarily carnivorous (ahh, so the innocent fireflies of our youth are no longer that innocent). Anyway, I thought of that today on my midnight 11.5mile run. With a crystal clear sky and all the stars spackled over the sky, and the iridescent light from tiny lightning bugs appearing and dissapearing made the run more interesting, and more peaceful. On a separate note, I have started running at night again–with the humidity/heat, it’s not easy for me to do that during the day. And, for some reason, running long distances at night has a certain feeling of peace about it, because, it is usually just you and the starts shining above you–and the illuminating light from the fireflies appearing and disappearing at their will. I do miss running during the day time, when I can actually see things. But, there’s a certain peace associated with being alone under the stars (I know I’ve mentioned this before). 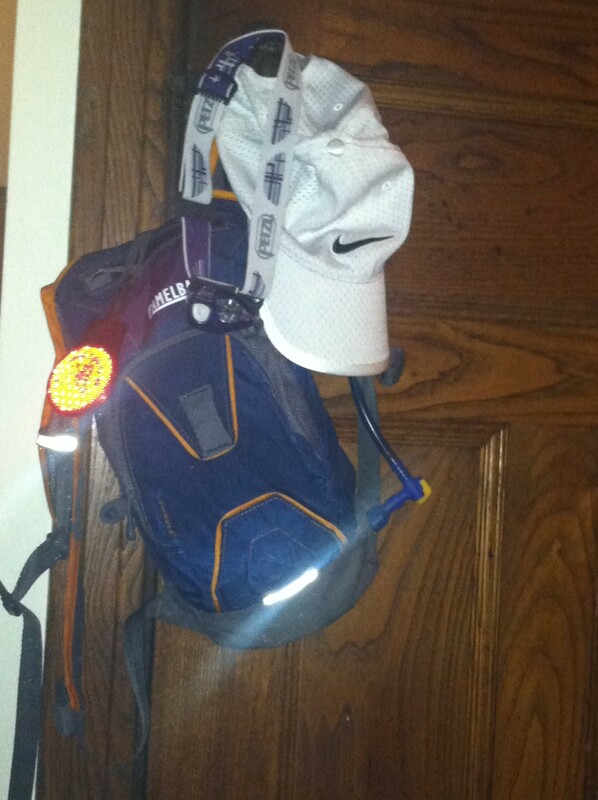 I’m determined to be ready for this race in August, whether it mean having to bike and run at night. I actually enjoy my time swimming in Lake Onteora. Tomorrow, I’ll plan on riding over in the Catskills so I can get my 40miler done with, and swim afterwards. The fireflies reminded me of a song by Owl City. The little creatures remind me of LG too!